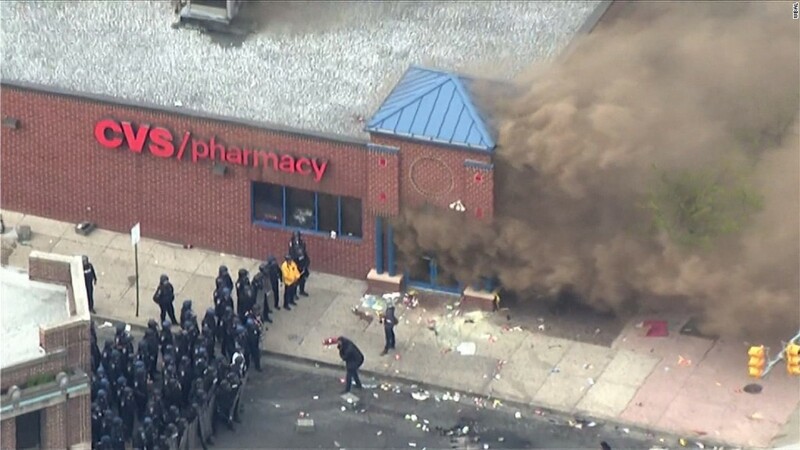 The day after a Baltimore CVS was severely damaged by rioters, community members gathered to clean up the mess. "I said, I'm going to get out here, and I'm going to lead by example," said Laquicha Harper, 30, who was there at 7 a.m. to help the effort outside on Pennsylvania Avenue. The store was one of the first places in the city to go up in flames Monday evening as protesters turned violent, throwing rocks at police and ransacking businesses. Five CVS (CVS) stores sustained damage and remained closed Tuesday. "I understand that everybody is upset," Harper said. "But there are better ways that we can handle our frustration. And they can't hear us when we're behaving this way." The violence followed Monday's funeral for Freddie Gray, who died in police custody under circumstances that remain unclear. The recent death of Gray, who was 25, has sparked ongoing protests in Baltimore and raised long-simmering tensions between police and residents. 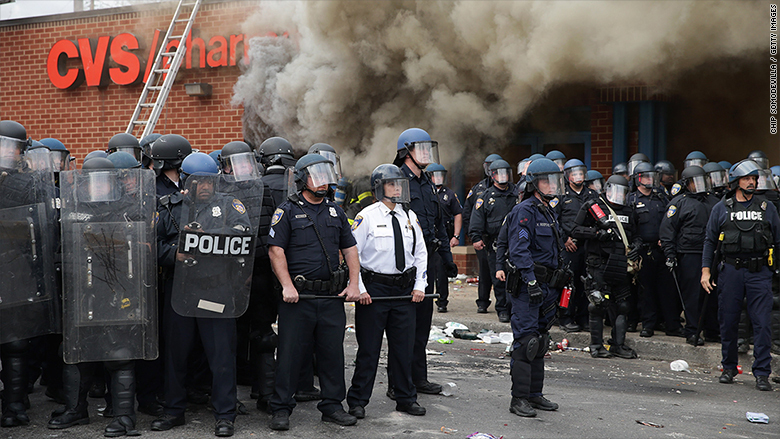 CVS got everyone out of its stores before any violence began. No employees or customers were harmed, spokeswoman Carolyn Castel said. Two of the closed stores sustained "heavy damage," she said, and the problems at three others were still being assessed. "CVS Health remains fully committed to serving our customers and patients in Baltimore during this very difficult time," Castel said. Customers who need to pick up a prescription at any of the shuttered stores can get their medicine at one of the other 17 locations in Baltimore. Mayor Stephanie Rawlings-Blake said the community fought hard to get a CVS (CVS) to invest in the community there. "What happened last night made sure that more people are struggling and that more people have needs, and those needs are going to go unmet because of what was destroyed," she said Tuesday. CNN's Greg Botelho contributed reporting to this report.